Duleeka Marapana is perhaps not the most glamorous and captivating actresses in our times but the unparalleled acting talents she possesses sets her apart from the rest. She had portrayed roles in many acclaimed films which even went on to take Sri Lanka cinema to international level. Duleeka first burst in to the scene through stage drama. Probably it's the experience and the exposure she gained from the stage that gave her the means to hold the extra edge over other artistes. When queried as to the impact that stage drama has had on her career, Duleeka remarked, "True, stage drama gives you the necessary exposure that is needed to enhance your acting prowess. It is through stage drama that I learned the necessary discipline which is needed to make it big in cinema. These days many young actresses enter acting, but they don't know head or tail about acting. They don't have the necessary discipline or the persistence to make an impression. They don't know even know how to work as a team. Some hold a lot of promise, but even they don't have the necessary stamina to make a lasting impact. Their popularity is short lived". Most times, we see Duleeka portraying very complex and deep roles which demands a lot of acting expertise. When asked as to on what basis she chooses her roles Duleeka stated, "Most times I choose roles which utilize my talents to the full. It doesn't necessarily mean that I don't take up simple roles. I have come across scripts which demand me to play much lighter roles as well. Therefore it is not really a case of whether the character is a complex one or not, it is more or less a case of doing full justice to the character. As actors we don't take things as a challenge. We don't have challenges. We take it as a responsibility. If I decide to take up a certain role, I consider it my responsibility to do full justice to the character. I don't believe that anything is difficult. I haven't come across any characters which are difficult to portray." * Sapathmee - 1999 - Best Actress in the State Short drama festival. A question comes to one's mind as to whether the directors have made full use from the talents and skills that Duleeka possesses. Queried about this, Duleeka articulated, "Well, it depends and differs from one character to another. A director is bit like a potter. They must know how to craft a masterpiece from the material they have. They should know how to exploit and extract the talents of the actor to the full but sadly some modern-day directors don't even know a dime about doing their own job let alone handling the cast. I have come across few excellent directors like Prasanna Vithanage and D G Somapala who did make full use of my talents but the tragedy is that good directors don't get enough opportunities to showcase their artistic expertise in the contemporary commercialized cinema industry. It is a real shame; otherwise if they are provided with enough opportunities, even we as actors will be more opportunities to contribute to the industry." 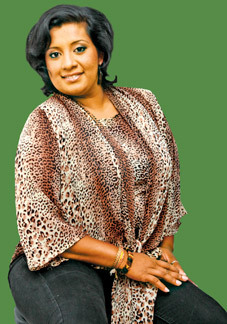 It is through television screen that she really began to capture the hearts of Sri Lankan fans. She was highly commended for her first ever performance in 'Prasanna Vithanage's drama Sanda Amavakai. Later she went on to win the best actress award at both Sumathi and Raigam awards for her role in Ridee Ittankaraya. "Muttering some random dialogues is not acting. Our people are so used to mugging up dialogues and narrating them like parrots. A good actor should have the ability to portray internal emotions through their facial expressions," she explained. Duleeka is also one among few who publicly rebelled against the plague of mega series mafia. She left the Nilenethu television drama before screening concluded. Duleeka revolted, "I had very reasonable motives for leaving Nilnethu. These days' producers carry out a very mercenary, single minded television mafia under the disguise of mega series. They make very cheap television dramas just for the sake of making quick bucks. They don't know how to give value to the effort put in by the crew. They don't appreciate the work load carried out by mechanical staff." Movie buffs can watch out for Duleeka's performances in Super Six and Daruwana. She also portrayed a role in the teledrama Mali and Bennet Rathanayaka's Namaveni Kadulla. She will soon begin work on a new drama called Bernada Nivasa. "I also have a dream of creating something of my own and this year I am going to start building on that dream," she concluded with a smile. Sri Lankan cinema will be completing 64 years and the National Film Corporation will be marking its 38 years soon. An overnight pirith chanting will be held to mark the occasion and bless all those in connection with the industry on January 21. A morning alms will also be given. Three movies will be screened at NFC on January 21. Kadavunu Poronduwa (10 am), Ashokamala (noon) and Kapati Arakshakaya (3 pm) will be screened at the Tharangani cinema hall. Entrance free. Aruna Weerasiri's maiden movie Tikiri Suwanda completed 60 days in cinemas recenlty. 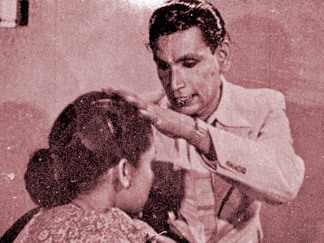 The movie which features Joe Abeywickrama, Anula Karunatileke, Jayalal Rohana, Ramya Vanigasekara, Maleesha Samaratunga, Giriraj Kaushalya, Sarath Chandrasiri, Duleeka Marapana and others is assistant directed by Priyantha Pathiraga. Kanthi Weerasiri is the production manager. Lal Pagoda Arachchi had scripted the story. The cameraman is K D Dayananda while Ravindra Guruge is the editor. Les Citronniers (Lemon Tree) is a 2008 Israeli drama movie directed by Eran Riklis and co directed by his cousin Ira Rikl. The film describes the legal efforts of a Palestinian widow to stop the Israeli Defense Minister, her next door neighbor, from destroying the lemon trees in her family farm. At the same time, she develops a human bond with the minister's wife. It was released in Israel on 27 March 2008, and it received a tepid response from Israeli audiences. From there, the film has achieved critical success and it has received nominations for several awards such as 'Best Actress' and 'Best Screenwriter' at the European Film Awards. The movie will be screening at Alliance Francaise de Kandy on January 22 at 3.30 pm. The NFC cinema diploma will be conducted in Tamil. Applications are available at No 303, Bauddhaloka Mawatha, Colombo 7, till January 28 from 9 am to 4 pm. The one year diploma classes will be conducted on weekends. Send a self addressed stamped envelope to the Chairman, National Film Corporation, with a Rs 100 money order to get the application by post. The closing date for applications is on February 18. For more information contact 0112585721. It's all happening! The Hobbit film is truly coming together. Yes, the inclusion of characters from the LOTR trilogy in the series' prequel is a bit disconcerting, but we can be sure Peter Jackson is handling the project with care. The incredible news now is that the moment we've all been waiting for has arrived. 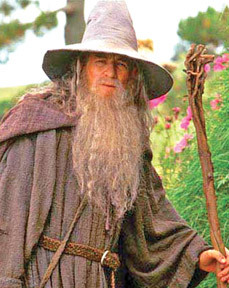 It's official: Ian McKellen will be bringing back his thundering wisdom, scraggly beard, and sage advice to The Hobbit. Andy Serkis, who provided an unimaginably accurate representation of the creature Gollum in the original trilogy, will also be returning to tell the story of how it all began. In case you weren't a fan of the original books, The Hobbit is the book in which Gandalf and Gollum are introduced. Both characters are integral parts of the story, and after the actors delivered such unforgettable performances in Jackson's golden trilogy, I doubt anyone could have replaced them and gotten away with it. Last week, Elijah Wood also signed on to return for The Hobbit - which is odd because Frodo isn't even born yet when the book takes place. Many fans speculate that he may serve as a narrator of the tale in order to place the film firmly in connection with the LOTR series. Of course, we've already made you aware that Cate Blanchett is back as Galadriel and Orlando Bloom has an offer to return as Legolas. Neither character played a part in Tolkien's Hobbit, but logistically, it's possible that they could have been around. The Dark Knight Rises is to shortly begin screen testing for two lead actress roles, it has been reported. Sources claim that Anne Hathaway, Keira Knightley and Jessica Biel are due to audition for a part in the upcoming Batman picture within the next two weeks. Relative newcomers Kate Mara and Charlotte Riley are also vying for a role in the film. Gemma Arterton was apparently scheduled to try out for the film, but is now unlikely to be able to commit to shooting after securing the lead in Hansel and Gretel: Witch Hunters. One of the characters thought to be up for grabs is Talia al Ghul, daughter of Ra's - who was played by Liam Neeson in 2005's Batman Begins. Talia recurs in the comics as a love interest for Bruce Wayne, and ultimately gives birth to Wayne's son. Hathaway and Knightley were first linked to the Christopher Nolan movie in November. Hathaway cryptically declined to comment on the speculation last month. DreamWorks Animation has gone ape for Monkeys of Bollywood, roping in composer A R Rahman, Broadway lyricist Stephen Schwartz and husband-and-wife producing team Gurinder Chadha and Paul Berges to fast-track the studio's first animated feature musical. Hindu epic poem The Ramayana inspired the Bollywood-style animated musical, set in Mumbai. Film revolves around two monkeys who try to stop an ancient demon from conquering the world. "As soon as I heard that DreamWorks Animation envisioned making an animated Bollywood movie, I knew I wanted to be a part of it," said Schwartz in a statement. "The fact that A R Rahman got involved made it an even more exciting project." DreamWorks chief creative officer Bill Damaschke and development exec Chris Kuser will oversee the project. Chadha and Berges have teamed up for films including Bend it Like Beckham and Bride and Prejudice. Rahman scored Danny Boyles' 127 Hours and Slumdog Millionaire. Broadway vet Schwartz, lyricist for Wicked who also scored DreamWorks' Prince of Egypt in 1998, has worked on TV series including Glee and Army Wives. James Bond is out of limbo and MGM is back in business. What the storied studio does in the coming months with its signature property will reveal much about how it plans to proceed. The Lion's new toppers, Gary Barber and Roger Birnbaum, joined Bond movie producers Michael G Wilson and Barbara Broccoli in announcing that the 23rd Bond movie will be released Nov 9, 2012, with production starting late this year. The no-frills greenlight announcement also made official Daniel Craig's return for a third outing as 007, with Sam Mendes to direct a screenplay by Neal Purvis, Robert Wade and John Logan. MGM had already been working up plans for a 2012 yearlong commemoration of the golden anniversary of the first Bond pic, 1962's Doctor No, and Mendes had long been rumored to be the leading candidate to helm. But there's still plenty that's not clear - the title of the film, with fans hoping for something less murky than Quantum of Solace; specifics of the plot and locations; castings of the all-important female lead and villains; whether Judi Dench will return as spy chief M; and whether MGM will take on partners to finance what's likely to be a budget of about $200 million. Insiders believe MGM may turn again to Sony for co-financing, as it did on Casino Royale and Quantum of Solace - or sell off some of the major foreign territories. A source close to the situation indicated that one of MGM's likely next steps will be to choose a distribution partner. Bond will do much to illuminate how Barber and Birnbaum intend to operate the studio, which had largely mothballed its productionarm in recent years as it struggled to survive with a massive debt load. Sarasaviya cinema weekly together with LG Abans and ITN will bring 'Kandy Mega Blast', a musical evening featuring renowned vocalists Chandana Liyanarachchi, Supriya Abeysekara, Lakshman Hilm, Bandara Attauda, Rodney Warnakula, Kumari Munasinghe, Himash Manupriya, Kavya Devindi, Pasindu Sachintha, Asanga Devamitra, Suresh Gamage, Mangalika Tennakoon, Anura Palihawadana, K Sujeewa and Saheli Gamage. The event is spearheaded by Mass Media and Information Minister Keheliya Rambukwella and will be held at Menikhinna U P Y Jinadasa grounds on February 11 at 6.30 pm. Music will be provided by Seeduwa Sakura. Dance will be provided by Jayantha Karunasekara and his dance troupe Jayasanka. Entrance free.